Universal Audio, a leader in professional audio recording hardware and software, is proud to release the 1176 Classic Limiter Collection for the UAD-2 Powered Plug-Ins platform and new Apollo High-Resolution Audio Interface. Picking up where UA’s original 1176LN Limiting Amplifier plug-in left off, this new 1176 collection provides unrivaled emulations of three distinct 1176 hardware units, and is indispensable for any serious engineer or producer. 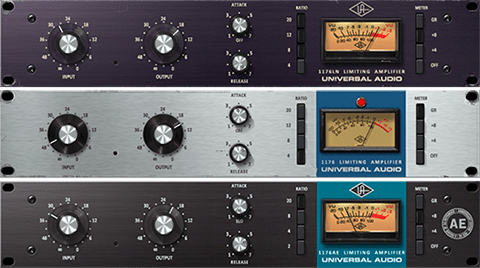 The 1176 Classic Limiter Collection is now available as part of the new UAD Software v6.2 release, and can be purchased for $299 via UA’s Online Store, or for $149 for current owners of the original 1176LN Limiting Amplifier Plug-In. More information on the 1176 Classic Limiter Plug-In Collection here.